As Quebecers marched through the streets of nearly a dozen cities to call attention to climate change, citizens on the Magdalen Islands rolled up their sleeves to clean up the debris left by last week's storm. 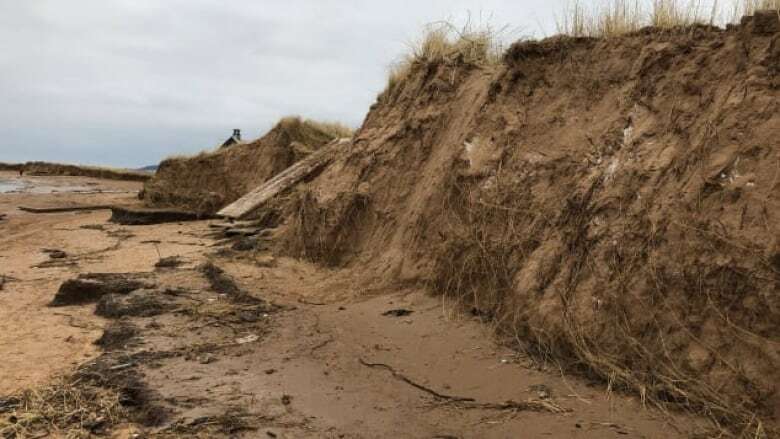 The call to action was organized by the citizens' group Un coup de main pour la nature, in an effort to call attention to the coastal erosion that is affecting the Magdalen Islands. Co-organizer Bruno Savary said the massive storm that paralyzed the region last month left behind a ton of debris. High waves also ate away at much of the coastline. "Certain beaches were completely wiped clean. The sand dunes are almost completely gone," said Savary. Ironically, the storm happened just days after a meeting with different stakeholders on the Islands, where discussions turned to the future of its ecosystem. Savary said participants looked at the different scenarios the community should prepare for over the next decade, including the worst case scenario. "Two days later, the catastrophic scenario came true with the storm," he said. The erosion caused by the storm was "almost record-breaking," Savary said. "I think it's clear that residents were affected by the sight." With washed up logs, garbage and plastics of all kinds, the organization decided to turn to residents to clean up the mess. "To get together, it gives you that extra energy and motivation to get moving." 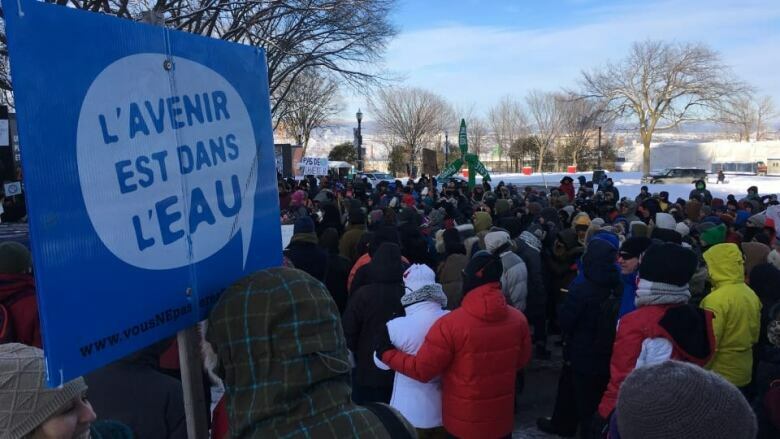 Meanwhile thousands of people gathered on the streets of Montreal, Quebec City, and Alma, among others, to mark the COP-24 UN meeting, which runs from Dec. 2 to Dec. 14. "The fight against climate change has become a very important citizens' movement," said Karel Mayrand, from the David Suzuki Foundation.